Why take Microservices Training Courses at Web Age Solutions? Microservice architectures are the advancing way for the enterprise. They promise nearly unlimited scalability and allow for the business agility needed to meet the needs of exploding information and rapid innovation in technology. In order to succeed at building these microservice systems, architects and developers need to learn a different way of thinking about services. Web Age Solutions can help you put your organization’s microservices projects into high gear with world-class Microservice Architecture training courses led by our team of experts. 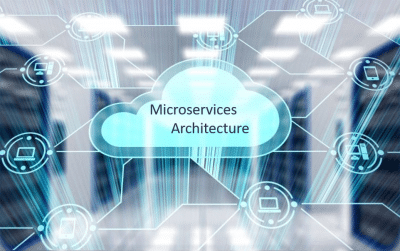 Our microservices architecture training courses explain the benefits of microservices architecture, and provide extensive hands-on experience to practice how to develop microservices applications. Each module is followed with a lab to give you the practice you need to get your projects up and running quickly! Check out a couple of our YouTube Videos on Microservices! These two videos will help you to understand the value proposition and technical aspects of Microservices as well as Developing Microservices with DevOps. See our list of Microservices Training courses above, for more information on courses we offer on these topics. Microservices are a subset of a broader SOA context. Microservices architecture is a software development technique where applications are broken down into smaller, independent services, that are not dependent upon a specific coding language. It structures an application as independently deployable services that are accessible over common communication protocols. testing is the approaches that are taken to test Microservices independently. Because of the distributed nature of Microservices development, testing can be a big challenge. There are five layers of tests that are performed over Microservices – Unit Testing, Integration Testing, Component Testing, Contract Testing and End-to-End Testing. Microservices use technology-agnostic protocols. There are two kinds of communication mechanisms that Microservices can use, asynchronous messaging and synchronous request/response. the creation and deployment of Microservices, e.g. Spring Boot, Dropwizard, and Node.js.